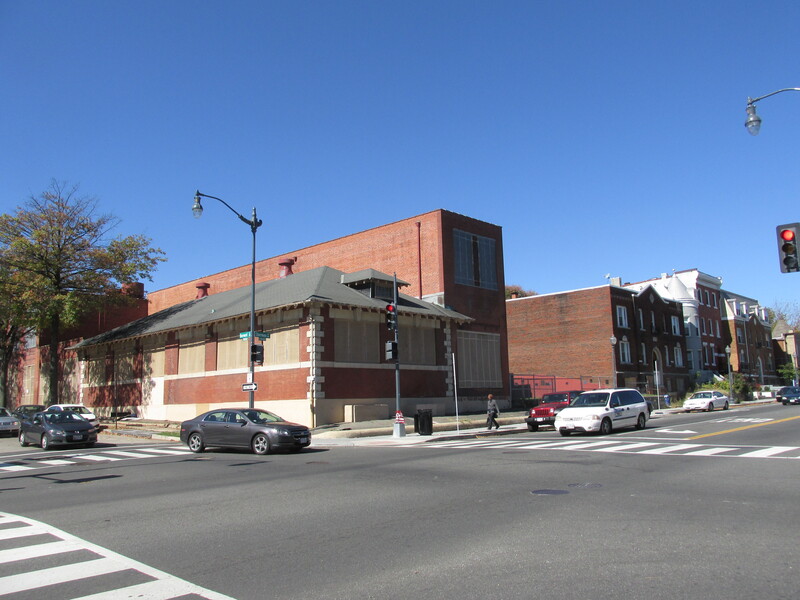 Pepco Planning Harvard Substation Upgrade | Park View, D.C.
Pepco Substation No. 13, at Harvard and Sherman Avenue, with 2914 Sherman in the background. Here’s some interesting news. 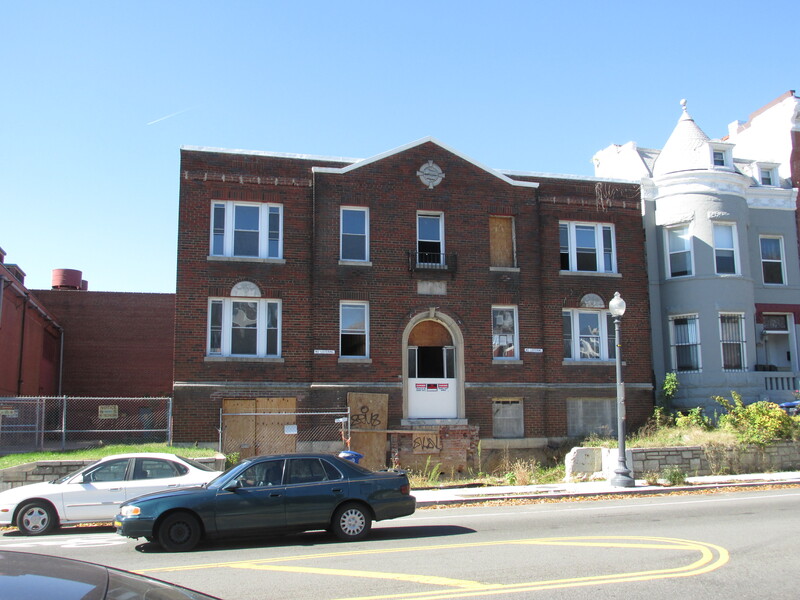 Recently, Pepco purchased the property at 2914 Sherman Avenue, NW. This purchase is part of Pepco’s ongoing efforts to provide safe and reliable electric service to residents. As part of their efforts to do this, they identified the need to upgrade the Harvard Substation located at Sherman Avenue and Harvard Street, NW. This substation is an early substation in the Pepco system (it’s no. 13) and was built in five stages. The original 1907 building was designed by architect Frederick B. Pyle. This was followed by additions designed by Arthur B. Heaton in 1920 and 1921. Further additions were added in 1929 and finally in 1944. 2914 Sherman Avenue will be razed as part of the substation project. Upgrades to the Harvard Substation must be complete by 2021. To facilitate these upgrades, Pepco purchased the abutting property at 2914 Sherman Avenue. As recently as January 2013, there were plans to renovate the building into 20 market-rate condos. After the developer gutted the building, work seemed to grind to a halt. Establish a temporary substation. Before Pepco begins replacing existing infrastructure at the substation, they will first establish a temporary substation on the property adjacent to the substation. They will need to create a temporary substation so that they can continue to provide electric service in the area while the existing substation is out of service. Work to construct the temporary substation will likely start in 2018. Transfer electric load to temporary substation site. Once Pepco has established the temporary site, they will transfer the load from the Harvard substation to the temporary substation. Rebuild Harvard Substation. Pepco anticipates the rebuilding work at the Harvard Substation to begin immediately following the electric load transfer to the temporary substation. Plans for the rebuild have not been completed; however, Pepco intends to work with the community to ensure the design is harmonious with neighboring architectural themes and the property use is appropriate for continued operation. Transfer electric load back to Harvard Substation. After the upgrades are completed, the electric load will be transferred back from the temporary substation and the Harvard Substation will resume providing electric service in 2021. Disassemble the temporary substation. Following the load transfers, the temporary substation will be disassembled. Pepco has determined that upgrading substation no. 13 is essential to maintain and improve the overall reliability and electric service for residents in the communities surrounding the substation. I’ll share more information about this project as it moves forward and more information is known. This entry was posted on October 20, 2014 at 7:01 am and is filed under Pepco, Restoration repair and maintenance. You can subscribe via RSS 2.0 feed to this post's comments.